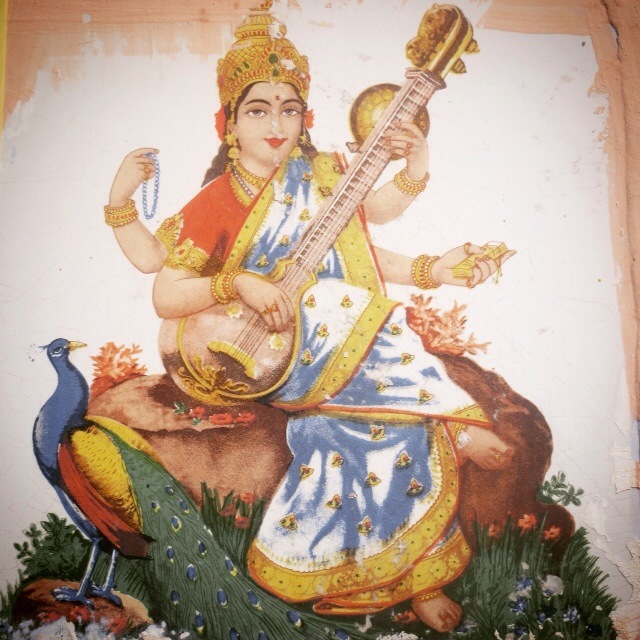 We’re dedicating May to the great Goddess, Saraswati. She is the grace behind knowledge, creativity, and intuition. She lives in the space where creativity and inspiration arise, and she is the power behind us living and speaking our truth. Arm Band or Bracelet – The goddesses love to be adorned, whether with henna, makeup (eyeliner is a must! ), or accessories. These gorgeous bands and bracelets are perfect to adorn your goddess self! Henna – Mehndi is the process of painting patterns on the body with henna paste. To use, cut a tiny bit off the bottom of the tube; the smaller the hole, the finer your designs will be. While squeezing the tube, draw designs on hands, arms, feet or legs. Leave until dry (~20 mins), being careful not to touch anything, and then brush off the dried henna. The color will continue getting stronger for the first few hours, and will last anywhere from 3-10 days. Henna Booklet of Designs – This great little booklet will provide inspiration for your Goddess mehndi designs! Powder Bindis – More adornments! Goddesses also love to wear bindis, the dot of colored powder or sticker placed on the third eye. This pack also comes with tools for making bindi designs – dip the tool or your finger in the color and lightly place on the low forehead between the eyes. Traditionally, bindis are a sign of being married, but they are now also being used as decoration. To make it last longer rub a tiny bit of oil on the forehead first. Youphoria Yoga Towel – Got a bit of goddess glow?! No worries, the Youphoria towel with its no slip, skidless, absorbent and machine washable capabilities will protect your yoga mat and improve your grip, while you continue being a goddess. Facial Steamer – Relaxation is important for the goddess, and this organic herbal face steam will deeply cleanse while relaxing you down to your pores! Light Footsteps offers so many amazing botanical wellness products for the goddess within, so check out their website at http://www.lightfootsteps.com. Recycled Varanasi Silk Sari – Every goddess needs silk in her life. Repurpose or use in your sacred space. We’re dedicating April to the great Goddess – specifically to the Goddess within each of us. This box will celebrate the divine feminine that we all posses. It is inspired by the goddess holiday of Navratri, which starts on April 8. 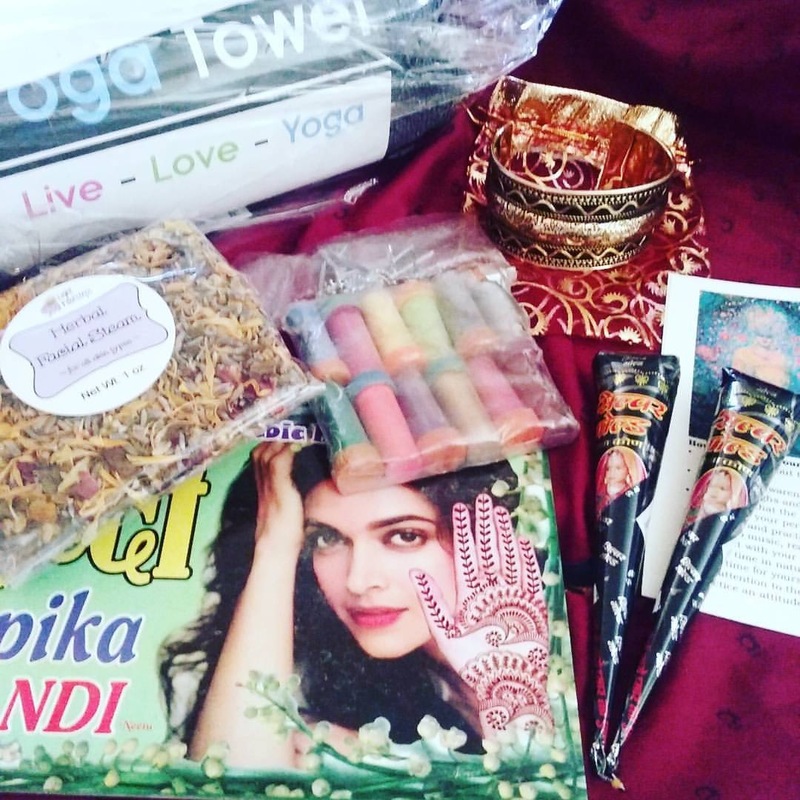 This box is not specific to Navratri or Durga, but is dedicated to the Goddess within us all. Join Ashi Box by 6:00pm Mountain Time on April 15th to receive the Goddess Ashi Box. All boxes will be shipped on April 19th, so sign up now! If you have any questions, please contact us at info@ashibox.com. 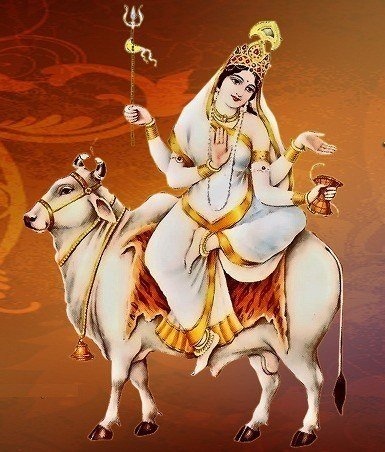 The eighth day of Navratri is dedicated to Mahagauri. 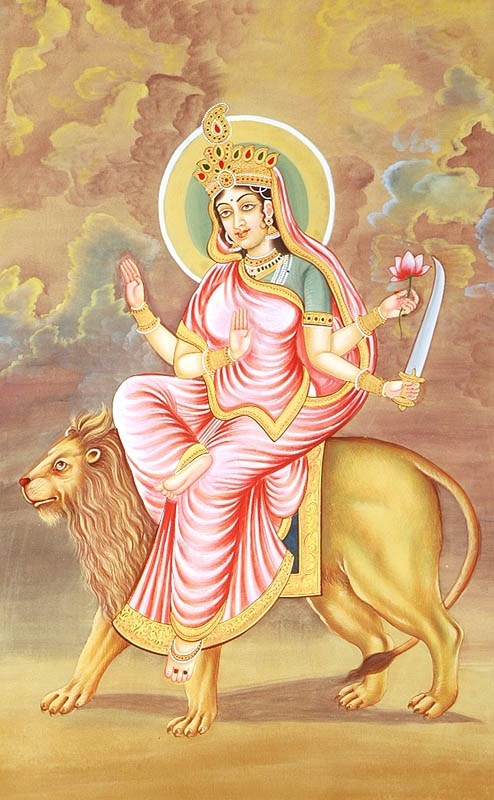 She is a beautiful form of Durga – equally radiant and compassionate. She’s adorned in pure white clothes, white ornaments and rides a white bull. 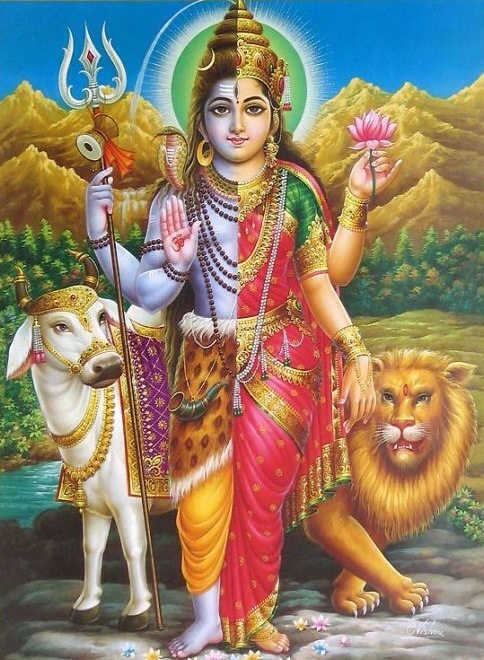 She is said to have liberated the world from evil forces, and now has the powers of purifying the souls of her devotees and removing all of their sins. She helps improve our knowledge and has a calming effect on us. She is free from the attachments of the material world, and will also help us detach in order to remove suffering from our lives. She will lead us to the path of virtue and inner power. In yoga and tantra traditions she is belongs to the sixth chakra (ajna chakra or third-eye), and can be invoked by concentrating on this point. She is a symbol of strength, knowledge, victory of good over evil and courage. She inspires devotees to face challenges and perceive the inherent strength within. She is also a goddess of love and can help anyone that desires love and marriage.